Are you looking for a luxurious vehicle that also delivers the best-possible driving experience? Similarly, are you seeking an easy, stress-free buying experience? Then we’d suggest opting for the 2019 Chevy Impala and Carl Black Nashville. Why are we so confident? Well, the nameplate delivers everything you could possibly want from a new ride, while the dealership provides customers with an easy experience. The Chevy Impala is generally known for its opulence and luxury, and those amenities are important to a certain grouping of car buyers. However, the nameplate should be known for so much more, as drivers can expect a number of additional amenities and attributes. This is what ultimately makes the 2019 variation one of the most impressive vehicles in the entire industry. For instance, the technological amenities will keep drivers comfortable and focused on the road, while the wide array of safety functions will assure that drivers can stay out of harm’s way. Of course, the accompanying engine offerings provide both power and efficiency, all leading to the best possible driving experience. The 2019 Chevy Impala provides more than you’d guess. Continue reading to see why. Are you ready to be entertained? The 2019 Chevy Impala is full of technological amenities that will improve every aspect of the driving experience, especially entertainment and convenience. The eight-inch diagonal touch-screen display provides easy access to the Chevrolet Infotainment System, allowing owners to access an assortment of notable applications and programs. The accompanying navigation system will guide drivers directly to their destination, while the vehicle diagnostics will allow drivers to monitor the most important aspects of their vehicle at all times. Notably, the unit includes Apple CarPlay and Android Auto compatibility, making it more than easy to connect your smartphone to the system. Thanks to this technological inclusion, drivers can safely make phone calls, send text messages, and access their favorite music playlists. Instead of having to dangerously take your eyes off the road to access your phone, it’s now extremely safe to capitalize on your gadget’s most basic functions.You’ll also appreciate the six USB ports and the wireless charging dock, allowing you to keep the phone juiced at all times. The technology doesn’t end there. The available 4G LTE Wi-Fi provides a strong wireless internet connection to all of your occupants. With the ability to connect up to seven devices, you’ll never hear any complaints about your passengers’ ability to connect. The Impala is often known for its cosmetics and opulence. Somehow, the engineers managed to also provide owners with top-notch technological features, all leading to one of the best driving experiences out there. The 2019 Chevy Impala can be equipped with one of two incredible engine offerings. Whether you’re seeking the utmost power or incredible efficiency, you’ll find it in either of these offerings. The 3.6-liter V6 engine is the more rugged of the two offerings, promising drivers up to 305 horsepower and 264 pound-feet of torque. Plus, thanks to fuel-saving features like Direct Injection and Variable Valve Timing, drivers can take advantage of the surprising 28-mile-per-gallon highway fuel efficiency. Meanwhile, the 2.5-liter four-cylinder engine manages to take those efficiency specs to another level. Thanks in part to inclusions like the Start/Stop technology, the engine can promise drivers a 29-mile-per-gallon highway fuel efficiency. Plus, the system still proves to be pretty powerful, delivering 197 horsepower and 191 pound-feet of torque. Regardless of which engine you end up opting for, we’re pretty confident that you’ll be happy with either of the offerings. While you may not expect either premier power or efficiency specs from your new ride, you’ll surely be able to find these attributes when it comes to the 2019 Chevy Impala. One of your main concerns while shopping for a new car surely revolves around safety, but the 2019 Chevy Impala should calm any of your concerns. After all, the nameplate has already earned a five-star overall vehicle score for safety from the National Highway Traffic Safety Administration. The vehicle is equipped with a number of functions that will help drivers avoid accidents. The Forward Collision Alert notifies the driver when a front-end crash is imminent, as the audible and visual cues will provide the operator with enough time to adjust their path. The Forward Automatic Braking will take over if the driver fails to respond. The system will automatically apply the brakes if a crash seems to be inevitable, and this will help to lessen (or even prevent) the accident. Inclusions like the Lane Departure Warning, Lane Change Alert (with Blind Zone Alert), and the Adaptive Cruise Control will be useful when drivers are on the highway. That latter function operates similar to a traditional cruise control system, but it can adapt its speed for maximum safety. Thanks to these various inclusions, drivers can better avoid these dangerous, high-speed crashes. There are even functions that will be helpful in the parking lot, including the Rear Vision Camera and Rear Cross Traffic Alert. All of the safety features will play an important role in keeping your brand-new 2019 Chevy Impala (as well as you and your passengers) in one piece. You’re going to want to remain out of harm’s way for a variety of reasons. You’ll predictably want to keep you and your passengers completely safe, but you’ll also want to preserve the exterior aesthetics of your new ride. Well, thanks to the safety inclusions that are added to the 2019 Chevy Impala, you’ll never have to worry about you, your passengers, or your vehicle’s well-being. 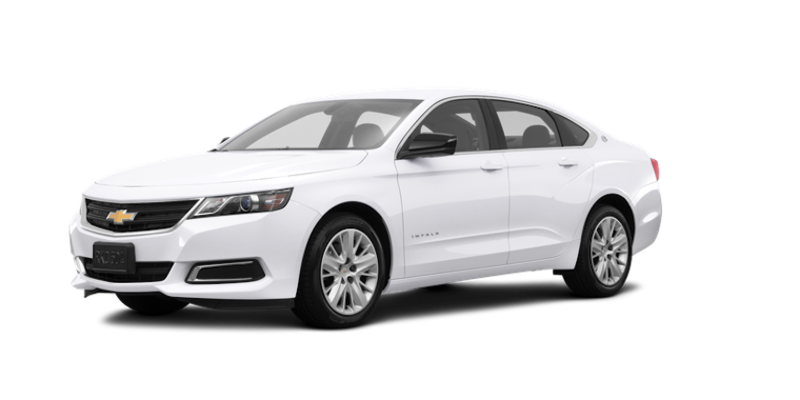 The 2019 Chevy Impala delivers the luxury... without the “luxury.” In other words, the nameplate isn’t considered a luxury sedan, but you surely wouldn’t know that when you give a look at the vehicle. The Chevy Impala is incredibly sleek and attractive, with smooth angles complemented by sudden lines and curves. The grille up front adds a bit of sportiness to the ride, while the various wheel options make the exterior a bit more intimidating. Add in the flared back-end of the vehicle, and you’re eying one of the most striking vehicles in the entire class. Of course, customers will also appreciate the number of color options that can be added to the ride. No matter what you’re looking for in your car’s color, you’ll certainly find it when you’re building your new 2019 Chevy Impala. The paint options include Blue Velvet Metallic, Cajun Red Tintcoat, Mosaic Black Metallic, Nightfall Gray Metallic, Pepperdust Metallic, Silver Ice Metallic, Summit White, Black, and Iridescent Pearl Tricoat. With a number of paint options to choose from, you’ll have the ability to make your 2019 Chevy Impala your own. Sure, the 2019 Chevy Impala isn’t a luxury vehicle. However, when you couple all of these exterior amenities with the interior features, you’re witnessing one of the most opulent vehicles in the entire class. Now that you’ve figured out that the 2019 Chevy Impala is indeed the proper target, it’s time to shift your focus to the buying experience. Well, we’re sure you’re a bit apprehensive when it comes to particular dealerships, as you never want to find yourself opting for an unadvantageous deal and a stressful, hectic buying experience. Instead, you want the optimal buying experience, but that is easier said than done. Well, you can expect the best-possible ordeal when you opt for Carl Black Nashville. We’re not only talking about our vast, affordable inventory (although that’s greatly appreciated). Rather, we’re talking about our array of services, which will come in handy throughout the buying experience. The credit department will prove to be useful before you even purchase your new car. The staff will work with their customers to establish a logical payment plan, and we are more than willing to finance a vehicle if you’re looking for that extra line of money. Meanwhile, the service department will work with customers after they’ve purchased their ride. If you run into any mechanical issues with your recent purchase, the service team is more than willing to get your vehicle road-worthy again. Instead of dealing with those untrustworthy (and often overpriced) private mechanics, you can simply turn to the place you purchased your new car: Carl Black Nashville. If you’re looking to fix up the vehicle yourself, then you won’t have to look any further than our parts department. 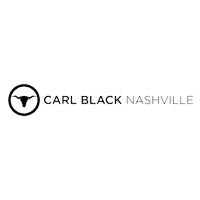 In other words, if you do have any mechanical problems with your 2019 Chevy Impala, just head into Carl Black Nashville. Finally, you won’t have to drive around aimlessly as you’re attempting to find the dealership. Rather, you can simply roll into Carl Black Nashville, which is located on Tennessee State Route 1. Easy-in, easy-out, which all leads to a less hectic experience. So what are you waiting for? If you’re ready to start shopping for your 2019 Chevy Impala, it’s time to head into Carl Black Nashville. Before you know it, you can start cruising around town in your brand-new car.